Fashionable as black is, and always has been, it seems to be much easier to work into your wardrobe than your home. Generally people shy away from black, it has a reputation for being a dark and gloomy colour that will make a space look small and intimidating. 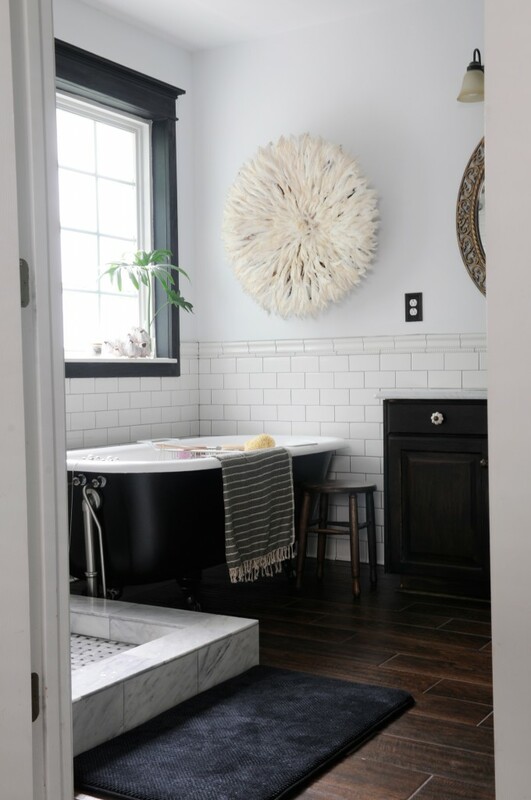 Today it’s time to put these assumptions and fears aside because one of the biggest bathroom trends at the moment is black! 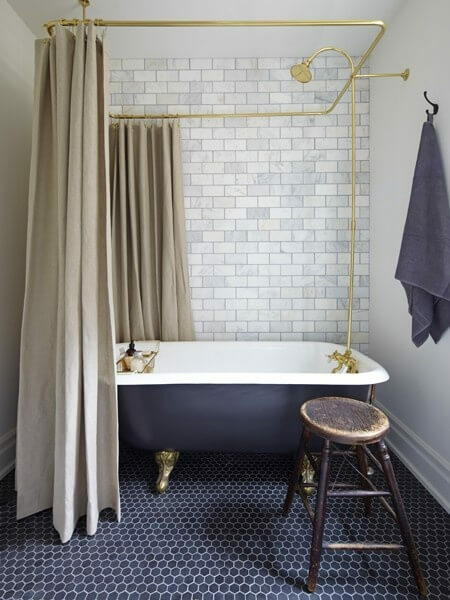 Bathrooms are spaces that attract high lustre fittings. 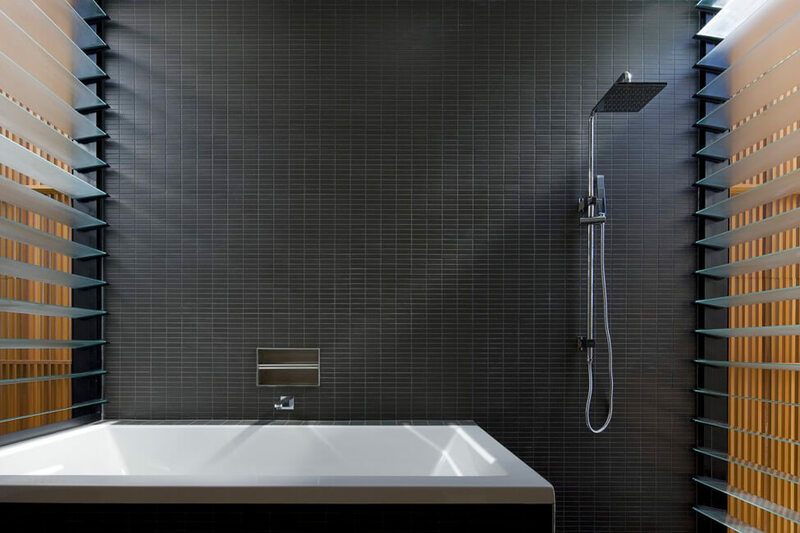 Use tap ware, shower screens and shower heads to create a harmony. The shine from metallic fixtures brings lighter tones and reflections of light into your bathroom. This will balance out any application of black. Use an aluminium shower screen, such as Pivotech’s Evolution shower enclosure, in a bright silver finish, with black wall tiles to avoid needing to apply an abundance of white to balance the rooms composition. Lustre balance is a subtle, chic way of making black work for you. 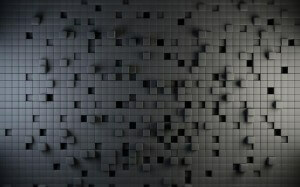 If you’re thinking of working black into a bathroom space with tiles, select a textured wall tile. 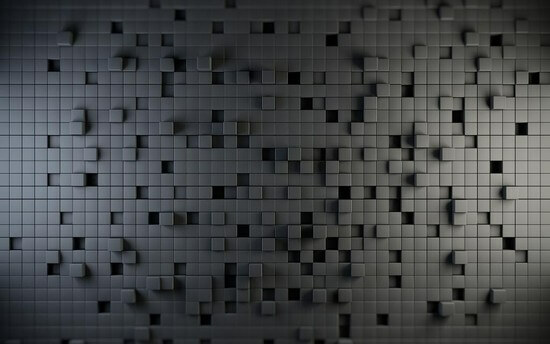 Textured tiles will subtly create visual interest and stop black from looking flat or depressed. 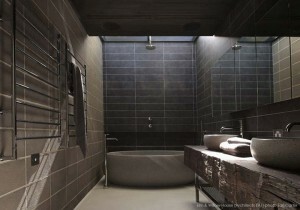 Textured black tiles are especially effective if you have a generous supply of natural light in the room. The light will catch or carry across the tiles in an exciting pattern. 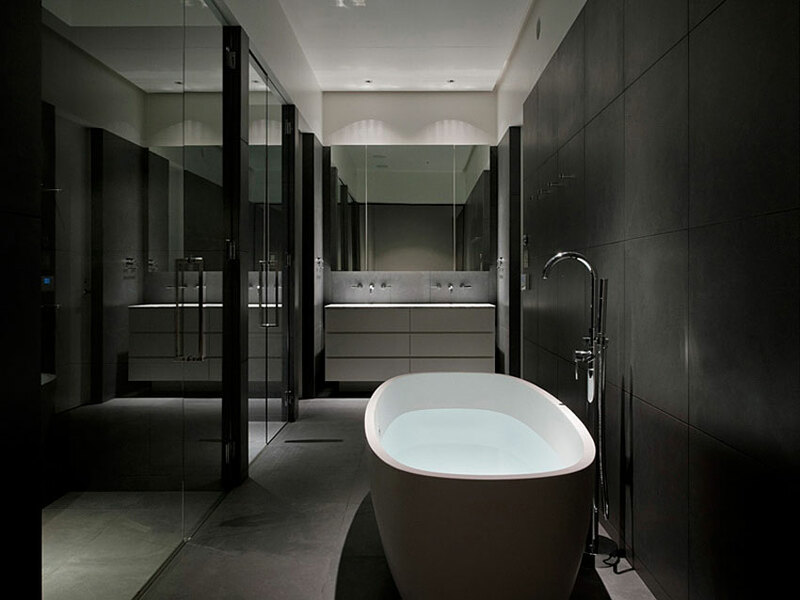 Reflection of light off a black surface will give the bathroom a dynamic sense of movement. 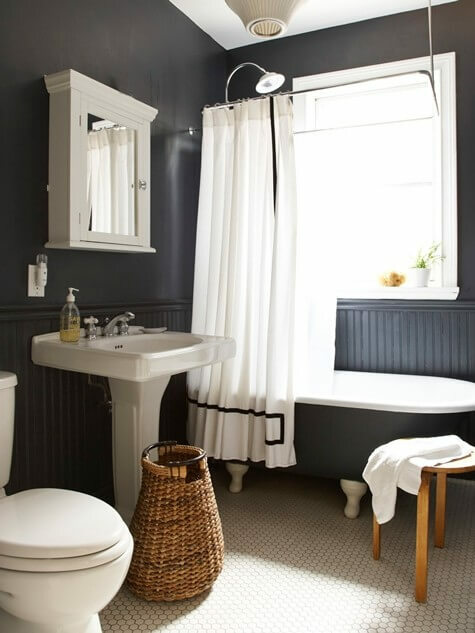 One of the easiest ways to work with black in a bathroom, especially if you are nervous about the trend, is to select a black vanity or bath. When coordinated with neutral tones and whites, this can be an effective design option. To ensure your bathroom keeps a sophisticated aesthetic, consider working with a stone product over an acrylic. Acrylic bathroom fittings will generally come in a gloss finish. Stone, being natural, is more likely to come in matt. From a practical point of view, gloss acrylics are unforgiving to finger prints, water stains and toothpaste spills. A stone product will give you a little more forgiveness with finger marks and water spots. 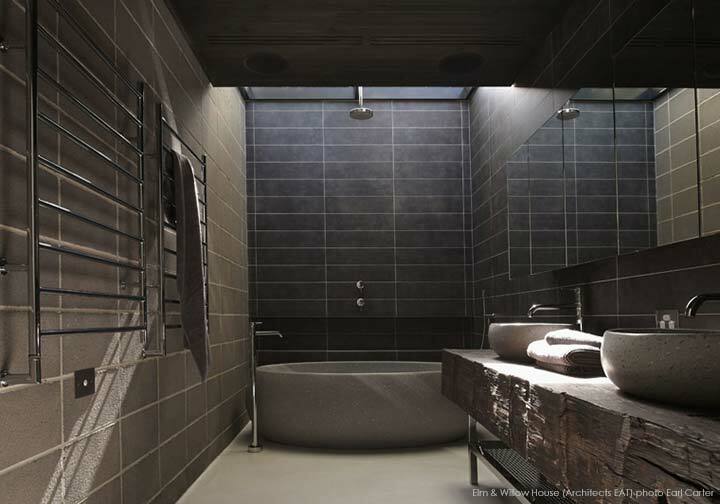 Design-wise, stone will allow your black feature to appear smooth and sensual. Glossy black acrylics do run the risk, if not incorporated skilfully, of looking cheap and out of place. When working with black (especially if it’s for the first time) please remember to keep it simple! Even the most experienced interior designers will struggle with an overcrowded colour palette. 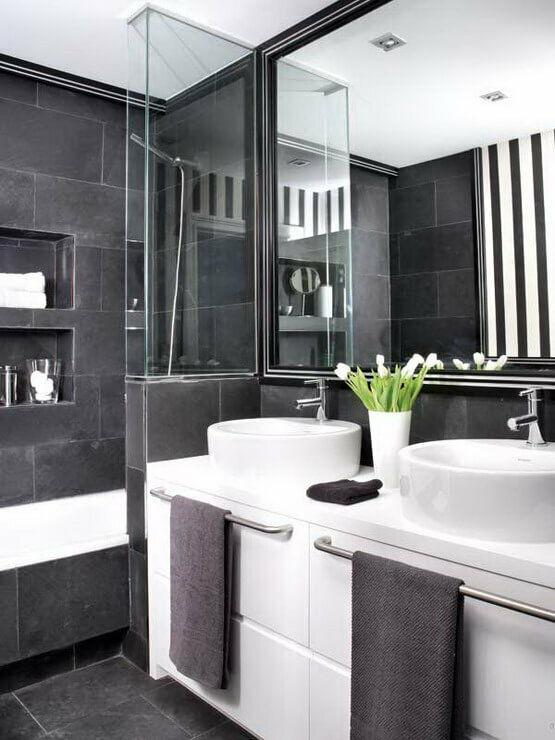 Try to stick with a monochromatic colour scheme to ensure you bathroom remains spacious and organised. 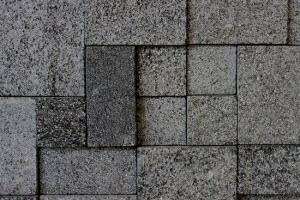 Apply too many colours in addition to your black feature and your bathroom will look small, and downright unattractive. With black as your feature, your monochromatic palette lends itself to a huge array of charcoals, ash tones, silvers and whites. 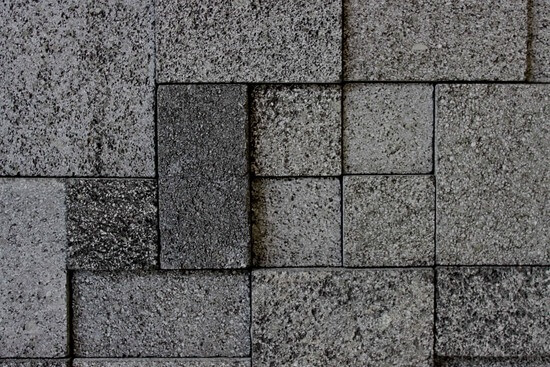 If you feel that a monochromatic colour scheme is a little dull for your liking, remember that you can use pattern, especially in your tile work, to create contrast and movement through visual texture. Another handy tip, if monochrome is not your thing, is to use timber or timber veneer as a surface finish. The natural look and tonal quality of timber, especially if you select one of the darker woods, won’t clutter your palette. Timber is always a handy option in any room if you are looking to enhance visual interest without breaking a colour scheme. Worried that your black bathroom will look like something Darth Vader would shower in? Think black won’t suit your home because your style is more colonial? Avoid a futuristic and space age style by re-working traditional bathroom aesthetic. This can be done by applying a diamond tile configuration in black and white to the floor. Check pattern flooring dates back to the 15th century where it was widely used in Europe. 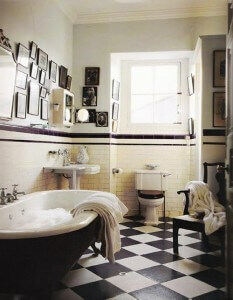 Today it’s sure to give your bathroom a classic feel. Another way to use black in a classic fashion, is to purchase a modified iconic bathroom piece. A personal favourite of mine is an black enamel claw foot tub. The shape of the bath will allow your bathroom to remain feminine and somewhat ‘old worldly’, but the colour will give it a cheeky modern edge.